City Council Commission E suggests Jakarta Tourism and Culture Dept. (Disparbud) to hold Betawi cultural events three times a year.
" 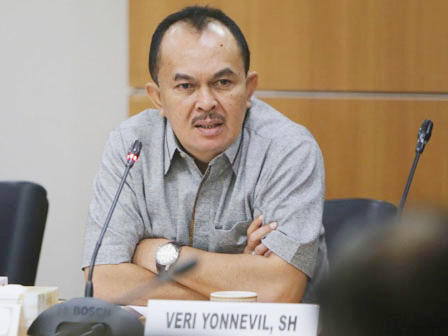 Local wisdom needs to be early introduced to citizen, especially to young generation"
Commission E Secretary, Veri Yonnevil hopes Jakartans become familiar with Betawi culture by scheduling events routinely for three times a year. "We hope those events could be held at least three times in a year thus Jakartans will be get u sed to Betawi culture," he said, Monday (11/6), when confirming about Disparbud plans to hold massive Ondel-Ondel Dance next week at Monas that will be participated by around 20 thousand people. Not only add events intensity, his side also suggests it to be held in five Jakarta regions and not only focus at Monas. "Don't just focus at Monas, but also in five Jakarta regions. Local wisdom needs to be early introduced to citizen, especially to young generation," he affirmed. Similar thing also expressed by other Commission E member, Meity Magdalena Ussu. According to her, pride towards Betawi culture should be instilled among young generations thus it could be maintained as time goes by. "As the successor of nation, young generations should be able to maintain Betawi culture. We must help to preserve it," she closed.